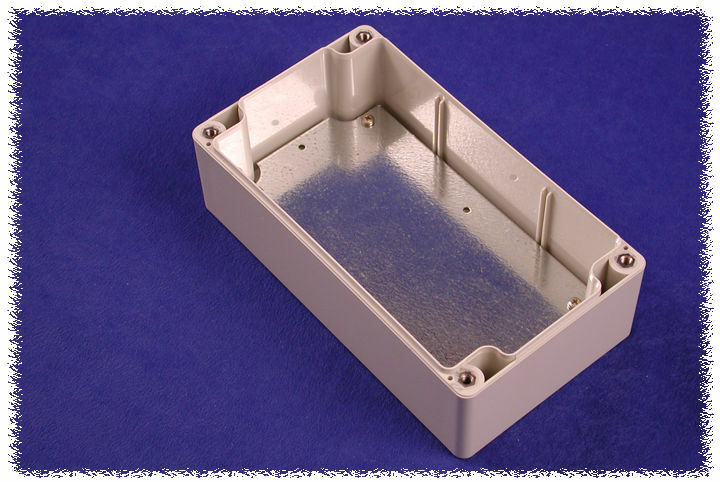 Ideally suited for mounting printed circuit boards or DIN rail mounted components (see photo features below for details). Material - General purpose ABS plastic (material carries a UL flammability rating of UL94 HB). 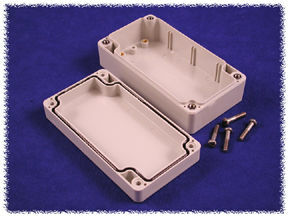 Not recommended for outdoor use (please see our polycarbonate 1554 series). 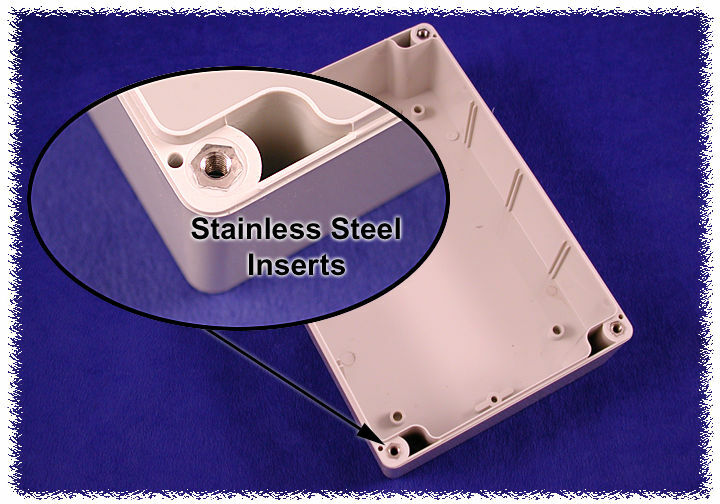 Lid is secured with self captivating - M4 stainless steel machine screws (included), threaded into integral stainless steel bushings (for repetitive assembly & disassembly). All stainless steel hardware to avoid corrosion caused by dissimilar metals. See photo features below. Stainless steel inserts & lid screws. 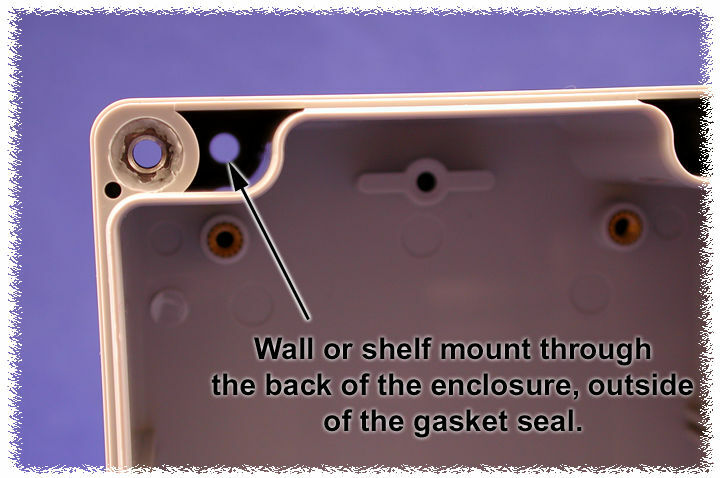 No corrosion caused by dissimilar metals. factory poured silicone rubber gasket seal. 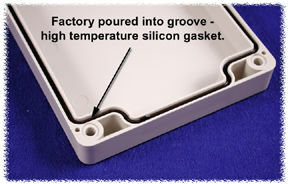 Feet are molded in rugged polycarbonate. 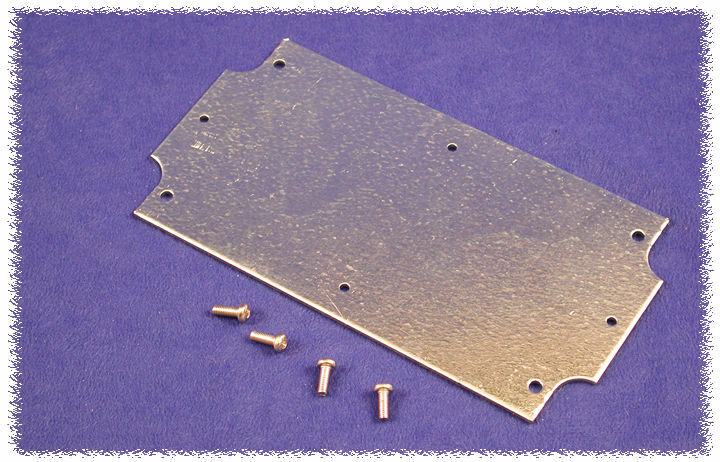 Kit includes 4 feet, 4 stainless steel screws & nuts (as shown). 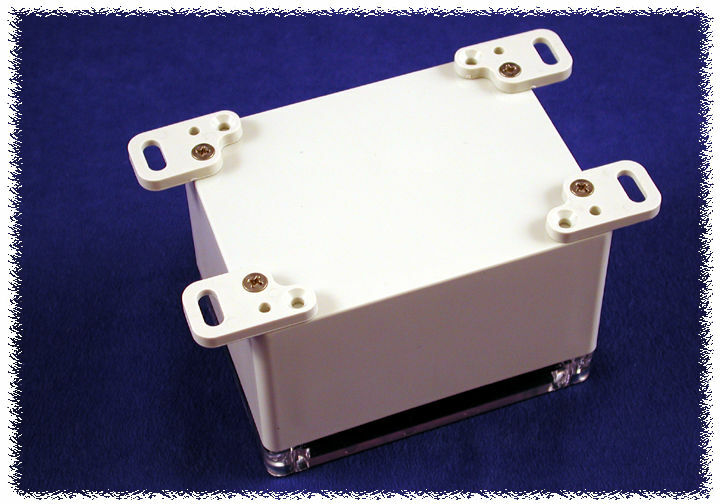 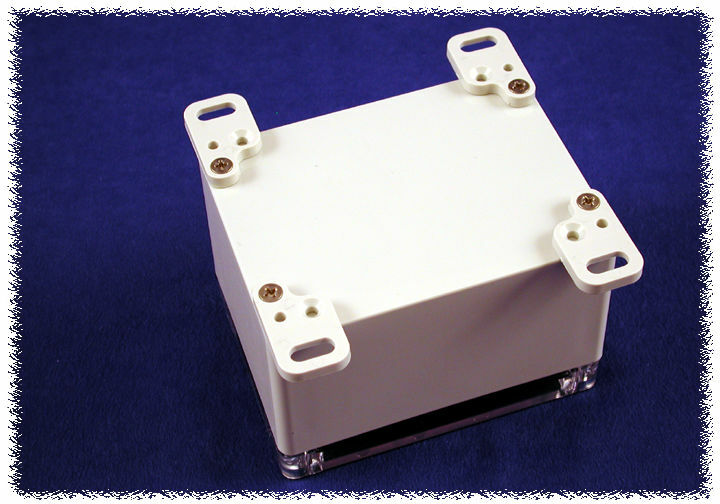 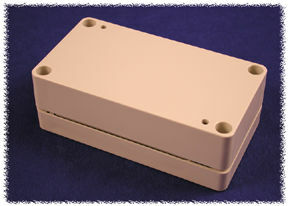 Works only with our 1554 and 1555 series enclosures. 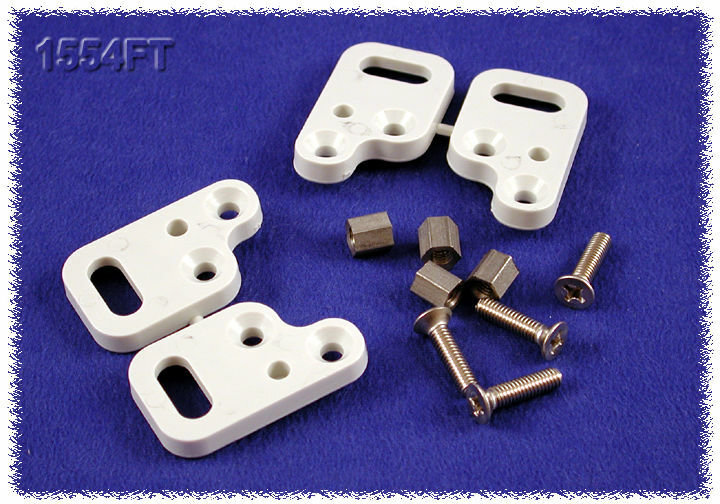 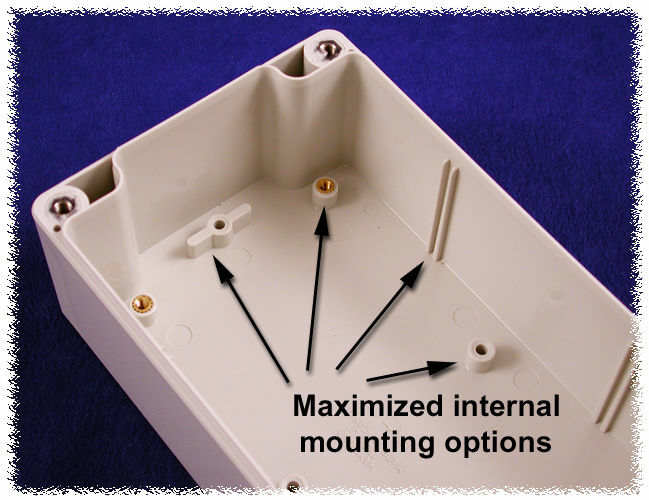 Heavy duty panels for mounting components. 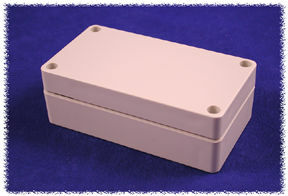 Mounts into brass inserts in the bottom of the enclosure using M3 x 8mm machine screws (Part No. 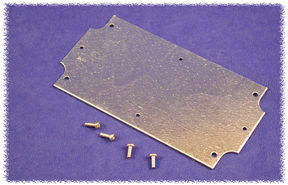 1591MM100 - pack of 100).